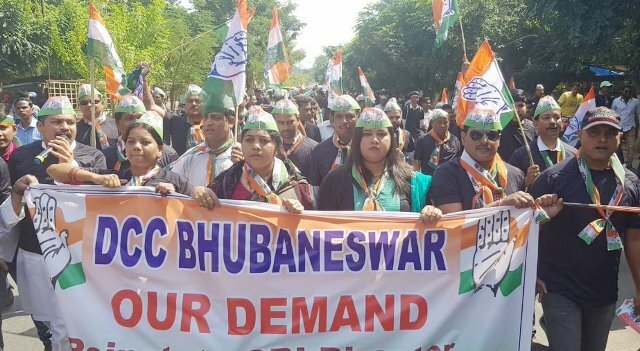 ONI Bureau: The State unit of Congress today protested outside all Central Bureau of Investigation (CBI) office in Bhubaneswar against the removal of CBI Director Alok Verma. The Congress workers burned effigies of Amit Shah, Narendra Modi and Dharmendra Pradhan in Bhubaneswar . Congress president Rahul Gandhi today detained by Police in Delhi while staging protest demanding the reinstatement of CBI Director Alok Verma. Thousands of protesters took part in the protest in National Capital. They also demanded an apology by the Prime Minister to the nation. It is to be noted that the Supreme Court directed the Central Vigilance Commission to complete its inquiry against Alok Verma and deputy Rakesh Asthana within two weeks.